Planning your dream wedding? Need some essentials for your special occasion? 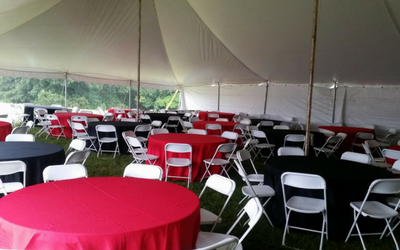 We have a large inventory of tents, tables, chairs, and more for rent! 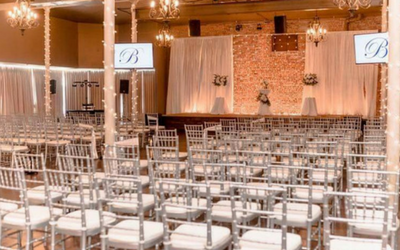 We do our part to ensure that your wedding or event is everything you've dreamed of by providing a unique variety of rentals that you will love. Find exactly what size tent, number of chairs, etc. that you need for your wedding or next event. Our tent rentals are top-of-the-line. 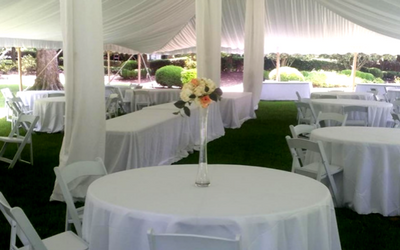 Our expert delivery & set-up team will have your tent, tables or chairs up in no time! If you're planning an outdoor wedding reception, anniversary party, family reunion or special event, we have what you need! No matter how big or small, our staff can help calculate what you'll need to properly accommodate your guests and your event.